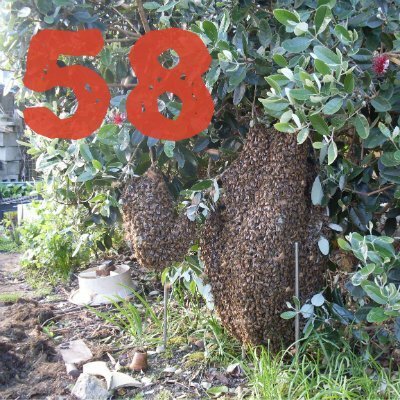 This week we are talking about wasps, Chinese beekeeping and swarms. What did you think this new all-natural spider pesticide, could it replace neonicotinoids. Is everyone missing something here? The toxin of the Australian Funnel web spider is deadly to humans as well. What is the point of producing a safe insecticide if we can’t eat the produce without being poisoned either. This ‘bio-pesticide’ (GMO) uses the same snowdrop GNA lectin … Galanthus nivalis agglutinin) as Árpád Pusztai used in his GM potato at the Rowett Institute back in 1998 ? Look what happen there ! This also has overtones of the work carried out at Newcastle using baculovirus proteins and Scorpion venom to knock out certain insects – being airborne delivered. We now also have a new line of cabbages containing scorpion venom to kill insects that feed on them. The story above also states ” is unlikely to cause any detrimental effects on honeybees” … ‘unlikely’ being the key word. This madness must STOP ! Mono-crop agriculture needs constant fixing because it's unnatural. Why fixing something which obviously doesn't work? We don't need new pesticides! We need agriculture based on biodiversity. Poly culture-agriculture is the only way out of this poison mess. Even if a mono-crop field is organic it still is just a green desert for pollinators! Most insects who predate on pests need ample amounts of biodiverse pollen to thrive. Hence some apple orchard farms planting Buckwheat, Dandelions and all sorts of flowering plants in between the apple tree rows. And they get very good results without the use of pesticides. And they automatically attract solitary bees so no need to pay for pollination services. By creating a biodiverse environment for the bees we create a balance between predatory insects and pests. So forget about modified spider venoms and other oil dependent gadgets and plant for the bees instead.